Everybody has inner demons. We invite them out to play! Demonic forces are fun to explore in this creepy, creative portrait theme. 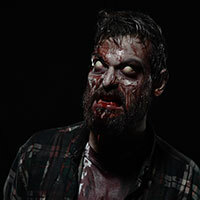 We will transform you into a figure of pure evil using amazing makeup and lighting, bringing your demons to life with supernatural brilliance and visceral gore. 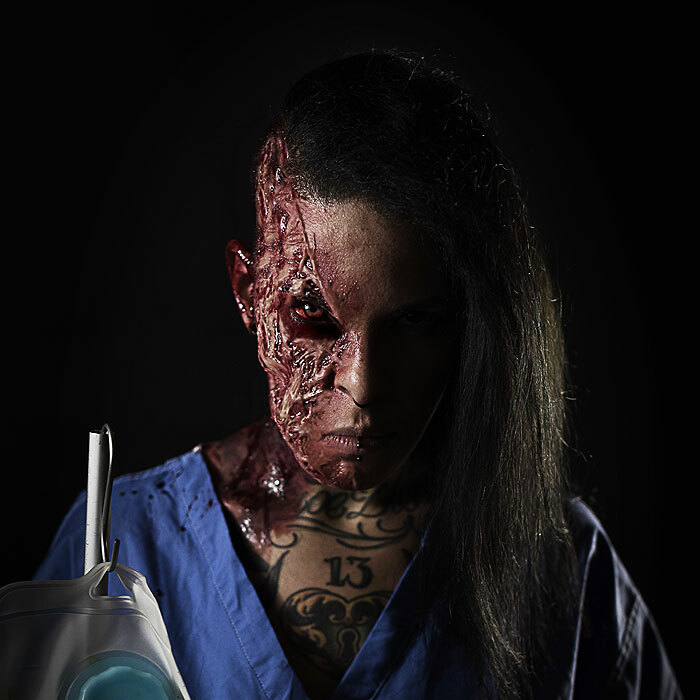 • This photoshoot covers a wide variety of horrific ideas and lets you get creative. It covers ideas based on ghosts, demonic possession, evil demons, insane psycho maniacs, evil killer clowns, and other similar themes. 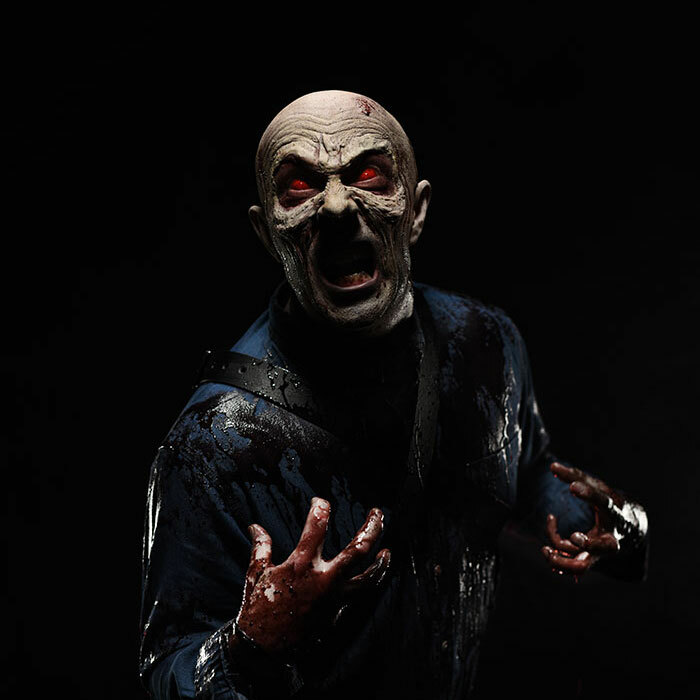 • This is a very gory and creative portrait photoshoot in which you will become pure evil. The actual shoot is a lot of fun and not scary to do, but the resulting photos are very scary! We invite you to get creative with this theme. Bring costumes and props, such as night gowns, teddybears, creepy dolls, clown costumes, old books, etc. Just let your imagination run riot. Demonic themes can contain great amounts of blood and gore. We can rip you open and bear your guts as well as your corrupt soul. 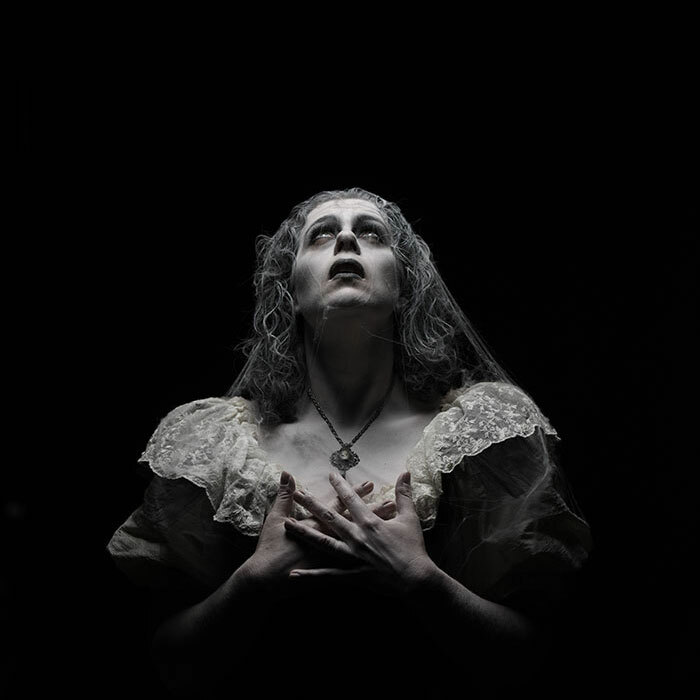 You'll express all kinds of weird and frightening emotions during a demonic shoot. If you're a quiet, gentle soul in real life and you think you can't express rage like this then think again. We know how to get shots like this from even the most timid folk! Even YOU! A demon exists to torment - and you will get plenty of opportunity to do this. These will be some of the most fearsome portraits you'll ever see of yourself. No demonic shoot is complete without some good, thick, green vomit. These photoshoots get very messy and a bit gross. 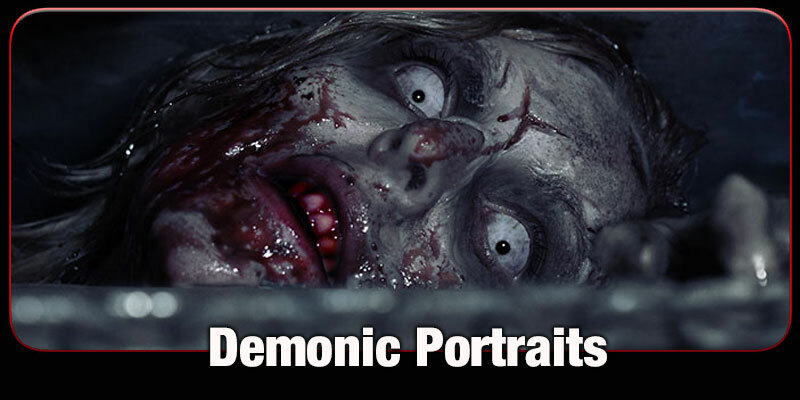 Demonic photoshoots are very creative and really let you go wild with ideas and scary poses. They are suitable for everyone. Your children can come to this shoot. 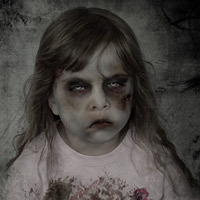 Demonic kids look very creepy! All children must be kept under close supervision at all times. Age 8 and over only. • Clothes / costume. You can bring literally anything you like, such as old clothes, nightwear, clown costumes, straight jackets, uniforms, cosplay, or anything else you want to bring. We encourage you to be creative. 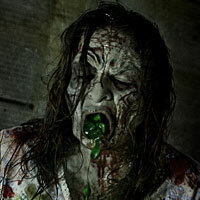 Be inspired by your favourite horror films such as the Exorcist, Evil Dead, IT, etc. You can just bring normal clothing if you like. Please remember, whatever you wear will end up covered in blood, grime, possibly demonic vomit, and other disgusting things! • Please consider light coloured clothes, rather than dark colours or reds. 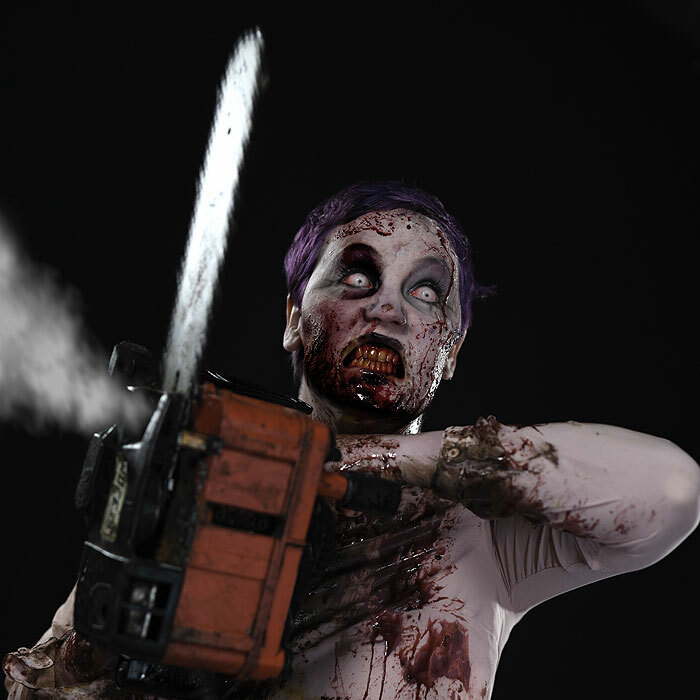 We want all the blood and gore to really show up so lighter colours work better for this. Dark colours are fine if it's all you have or if it suits your particular theme. 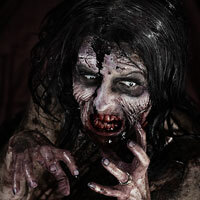 • You may bring your own eye contacts for scary eye effects if you want to. We do not supply contacts. • Age 8 and over. 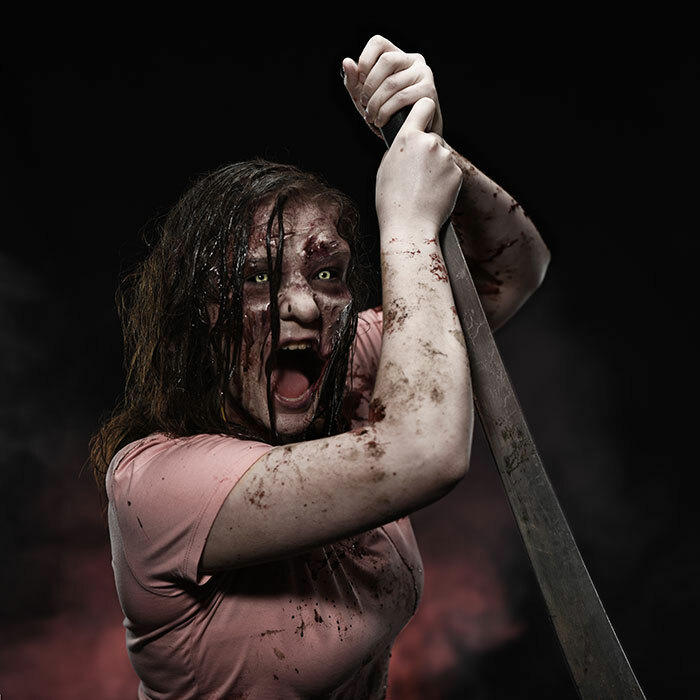 Some children love the messy, fun demon shoots and the theatrical poses required for the photos. However it won't be for everyone, so please use your best judgement when deciding whether or not to bring a child to this shoot.